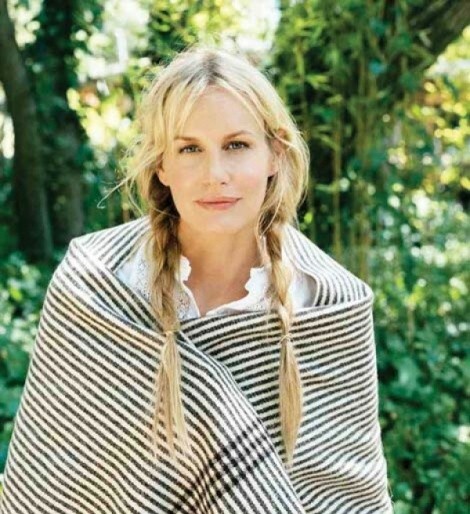 Actress and activist Daryl Hannah is coming to Salt Lake City on behalf of Tim DeChristopher, the environmental activist who in 2008 fraudulently bid on oil and drilling rights for southern Utah land parcels. DeChristopher will begin his long-delayed trial on Monday, Feb. 28. Environmental activists are planning to meet in Salt Lake City that day, beginning at 7:30 a.m., to walk to the federal courthouse, sing protest songs and stage other peaceful acts of civil disobedience. Peter Yarrow of Peter, Paul & Mary will lead the singing, and environmentalists Terry Tempest Williams and Daryl Hannah will show support. Hannah spoke with City Weekly by e-mail, highlighting her activism. What inspired your environmental activism? In an effort to try to live by my beliefs, I began to learn about all the resources we have available to us now that make it possible to live more harmoniously with the natural world. Witnessing the environmental degradation, health crisis and global unrest resulting from our petroleum dependency, I soon realized that not taking action is itself an act of compliance. So I choose to speak out about environmental and human rights issues and on behalf of the voiceless, for the welfare of other species. I find it shocking how we sometimes treat each other and the other creatures on this planet, and it’s so shortsighted and frankly pretty dumb to poison, decimate and destroy the very things we need to survive and thrive. What is it about Tim DeChristopher’s case that appeals to you? Martin Luther King Jr. said, “An injustice anywhere is a threat to justice everywhere.” Well, that is why what Tim did is so beautifully simple and compelling. When DeChristopher registered as bidder 70 and won those parcels, he was not only rescuing thousands of acres of rare public land, but shining a light on a shady “fire sale” that many citizens were not even aware of. His action was brave, creative and kind of funny, but the alternative is no joke. Fossil fuels are a very nasty business—there are, of course, the CO2 emissions (climate crisis, anyone? ); SO2, which causes acid rain; NOx which damages our health—and our growing demand for them is leading to huge global conflict. The truth is, we know how to collect and store clean regenerative energy, but these fossil-fuel companies are reporting record profits, even in this economy and as the wealthiest industry around they have tons of influence. Tim’s disruption of the auction resulted a raised national awareness and in [Secretary of the Interior Ken] Salazar dismissing most of the parcels that were offered. Should activists commit illegal acts to further their cause? Once again, I’d like to quote Martin Luther King Jr. He said, “An individual who breaks a law that conscience tells him is unjust, and ... accepts the penalty of imprisonment in order to arouse the conscience of the community over its injustice, is in reality expressing the highest respect for the law.” And he said that “one has a moral responsibility to disobey unjust laws.” I believe Tim was doing us all a favor putting himself on the line like he did. DeChristopher is a hero, not a criminal. What can the average Salt Laker do to make a positive impact on the environment? There are so many ways to have a positive impact on your community and less of a negative impact on the environment—from garnering and spreading information to supporting regenerative energy initiatives (like solar and wind) to joining a CSA. Just follow your heart and common sense, and it will be clear. Are the rumors true that you live off the grid in a tipi in Idaho, or something along those lines? I lived in a tipi briefly when I was restoring the salvaged barn that now functions as my house. The barn was designed to use both passive and active solar.